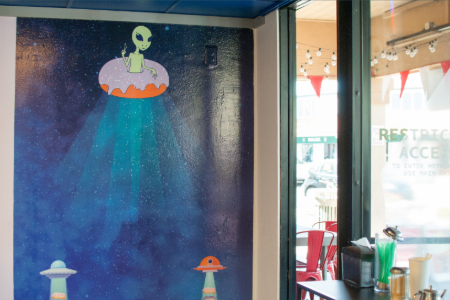 Alien Donuts has boarded the mothership with their fleet and landed in Old Town. 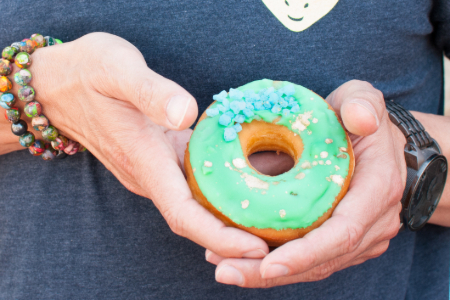 This new arrival serves up extraterrestrial-themed donuts, ice cream, coffee, and Rocket Shakes. 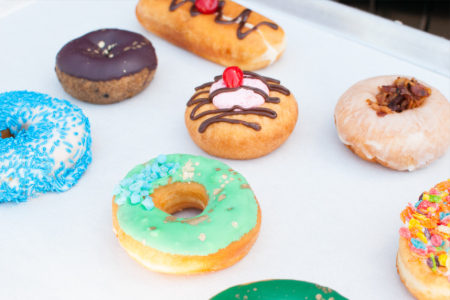 Alien Donuts of course carries the classics, but also offers creative alternatives you won’t find at your average donut shop. Explore specialty donuts like Alien Ice, which is topped with vanilla glaze and organic raspberry rock candy. Another donut you won’t find elsewhere is Lucky Charms, featuring the classic cereal on top, plus a pipette of cold cereal milk. Craving a late-night cosmic creation? Alien Donuts is open until 9 p.m. on weekdays and even later on Fridays and Saturdays. You’ll find them at 7111 E 5th Ave Suite D in Scottsdale.